Looking to bring more light into your property? 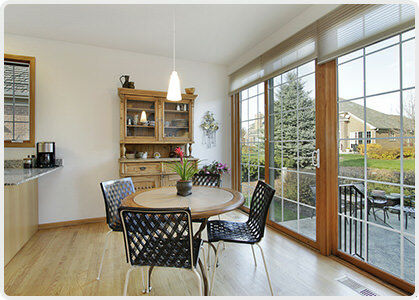 UPVC patio doors offer it in abundance. Brighten up your interior with our beautiful sliding UPVC patio doors. Our patio doors in Southampton come complete with a superb choice of classic colours and finishes. Choosing a style to match your property has never been easier. Imagine stepping out into your garden, patio or balcony with ease. Whatever your specifications, we can create exactly what you need. All our UPVC patio doors in Southampton are tailored to your requirements. Specifically designed to cater for the needs of today’s modern home owner, our innovative range of Duraflex patio doors offer a number of unique features which will instantly add value to your home. These attractive doors will brighten up your interior and are an affordable way of gaining extra access to your property. They are perfect for those summer days where family gatherings require instance access to your garden and home. Our stylish patio doors are designed with slim sight lines for a super sleek look. 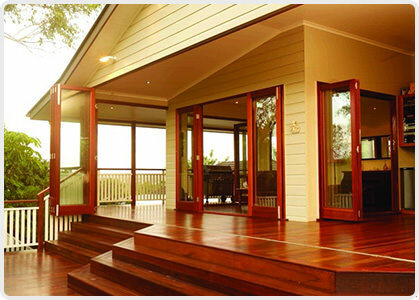 These doors will blend in effortlessly with your property, enhancing your existing aesthetics. With no unsightly corners, these streamline patio doors give the illusion of greater space. Sashes and beads are available in both the featured and bevelled design giving you a beautiful choice of styles. Our UPVC patio doors are available in 2,3 and 4 leaf options. Fully welded, reinforced and internally glazed, our patio doors are extremely durable and hard wearing. Safety and security are combined with lifestyle choice and space. Stainless steel rollers and a multi-point locking system ensure your home is kept safe whilst multiple pane applications allow you to benefit from added depth and light. Our locks are designed by Ultion, one of the leading manufacturers of locks. All our UPVC patio doors in Southampton are available in low threshold and ramp options. Choose from a standard UPVC threshold, slim UPVC threshold and an aluminium low threshold. Our low thresholds are designed to aid wheelchair access, providing a smooth transition between home and garden. Our UPVC patio doors require very little effort on your part. Their low maintenance design means you can use these doors day in and day out without the hassle of upkeep. These durable doors will never rot or corrode. A strong and robust entrance point, our UPVC patio doors will last for many years. UPVC patio doors operate upon a sliding rail which means no swinging hinges. The main benefit of a sliding rail is the smooth and easy transition it provides. These doors slide right back, creating expansive width and making it much easier to carry big items in and out of your property. All our UPVC patio doors are tested to the latest British and European standards for air, water and gusting performance via the BBA. A superior weatherseal gasket is inserted into all our patio doors to provide the best thermal and acoustic properties. Choose from an attractive range of colours and finishes. Our outer frames are available in either Brilliant White or Warm White, with standard colours and bespoke woodgrain options. Prestige Woodgrains: Irish Oak, Antique Teak, Rustic Cherry and Soft Cherry. Solid Colours: Grey, Medium Grey, Dark Grey, Cream, Black, Blue, Red, Green and White. At Advanced Exterior Plastics we offer unbeatable patio door prices in Southampton. Start your free online quote today for instant patio door costs.